Fund managers are already encouraging 'risk-on' attitudes after markets plunged in August, but allocators argue 'not so fast'. Fund managers are already encouraging ‘risk-on’ attitudes after markets plunged in August, but allocators argue ‘not so fast’. German peer, early in August. Markets melted, economies wobbled and safe assets soared. Global shares headed towards a 20% slump since their cyclical peak in May, gold showed few signs of slowing after breaching $1,900 per ounce in mid-August, and safe harbours of Switzerland’s franc and Japan’s yen jumped so sharply their national authorities repeatedly intervened. The yield on Treasuries – ‘the least ugly asset to own’, said one allocator – fell below 2% for the first time since 1950, even though Standard & Poor’s cut America’s creditworthiness from top notch for the first time. By mid-August many risk assets were trading at their lowest valuations for a generation. multi-asset investments at London’s Rathbone Unit Trust Management. Despite such warnings, parts of the investment community have stopped ‘looking down’, and instead look ‘ahead’. Skandia Investment Group said underweighting equities was “potentially very dangerous… if any upward turning point comes, it is likely to be dramatic”. Schroders’ multi-asset team said it was “unlikely to de-risk further and [is] looking for opportunities to pick up cheap assets”. 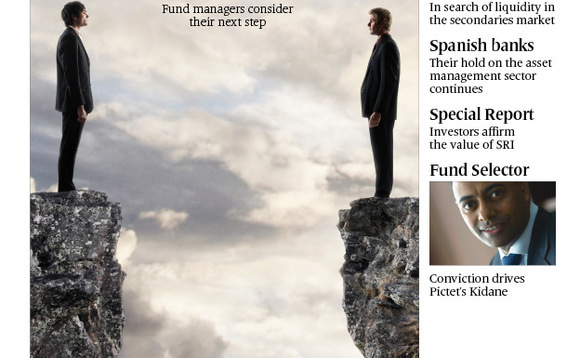 So for fund managers at least, the question seems fairly binary – risk on or risk-off? Allocators’ answers to this, at present, are typically ‘we remain risk off’, or at most, ‘very cautiously risk-on’. One Italian allocator said spreads on his nation’s sovereigns over Bunds were only two thirds of the way back to the levels seen during the 1980s. Another noted general liquidity is, at best, still half its level prior to 2008.